As an email subscriber, you see our promotions before anyone else. This month we have discounts on Indoor Air Quality | Smoke Detector Replacement | Electrical Inspection | Furnace Diagnosis | Other Offers. Thank you and call us if you have any questions. 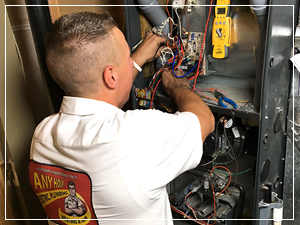 Call and schedule a time to meet with one of our HVAC supervisors and they will measure and calculate everything needed to ensure your new system keeps you comfortable. And, if you decide to install a new Carrier furnace, Any Hour Services will upgrade your system with an indoor air quality package at no extra cost. That's a humidifier, electrostatic air filter, and a germicidal UV light, this is a $2,500 value. 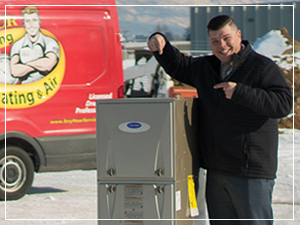 Call and schedule a FREE visit with one of our HVAC supervisors. Call and schedule a time for one of our licensed electrician to come to your home and show you what your options are, including how much it would cost. 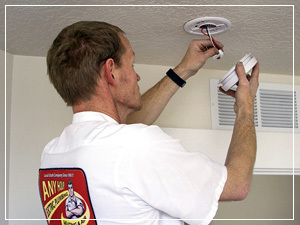 You can save no matter how many smoke detectors you need replaced/installed, from one to all of them. 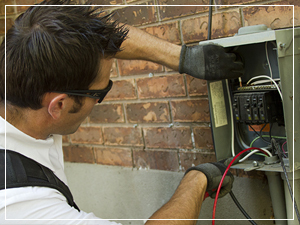 Our comprehensive electrical inspection includes checking the circuit breakers for proper operation, testing smoke & CO detectors, testing GFCI outlets, checking for arc fault protection, checking for proper grounding, checking for whole home surge protection, testing voltages, and much more. Everything the electrician finds will be documented and shared with you. If you are interested in fixing anything pricing and options will be provided. Call now to schedule an appointment. Your furnace has lots of moving parts and pieces. They all have to be working properly in order for your furnace to work. Lack of maintenance and lack of airflow can put extra strain on the internal components causing them to fail prematurely. $29 gets you a certified HVAC technician to troubleshoot and diagnose your system, figure out what not working and then show you options to repair it. Call now to schedule an appointment.